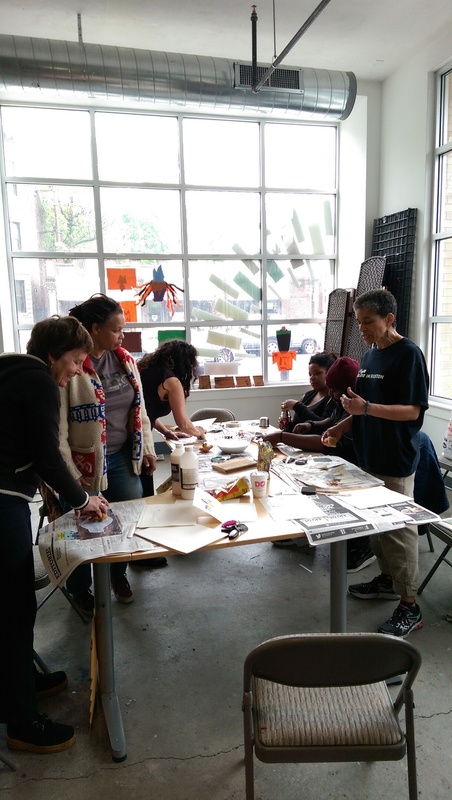 Last Saturday Soledad led the first group through a series of unconventional printing techniques at the first Art Unpacked. Check it out! The Art Unpacked series is free and open to all every Saturday in May and June. 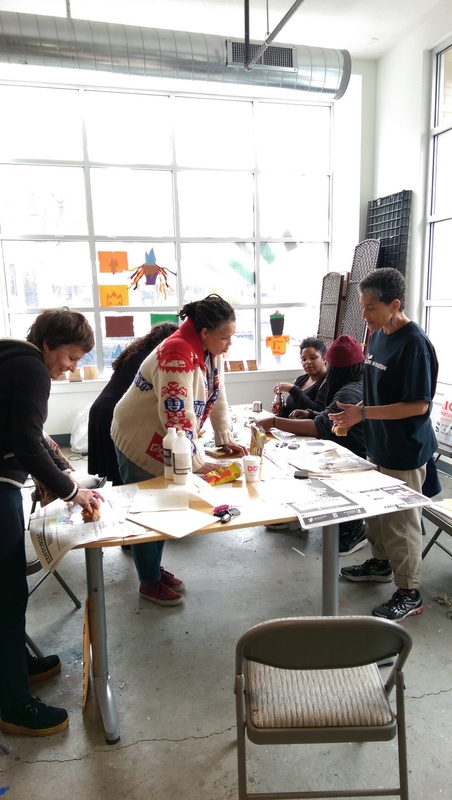 People who came by got to learn how to transfer and lift photocopy images onto a number of surfaces, make a pamphlet using stitch binding. Foam grocery trays, linoleum blocks, wood and even gelatin were used among other great and easily available materials for some basic relief printing. Thank you Kalamu Kieta for the photos!